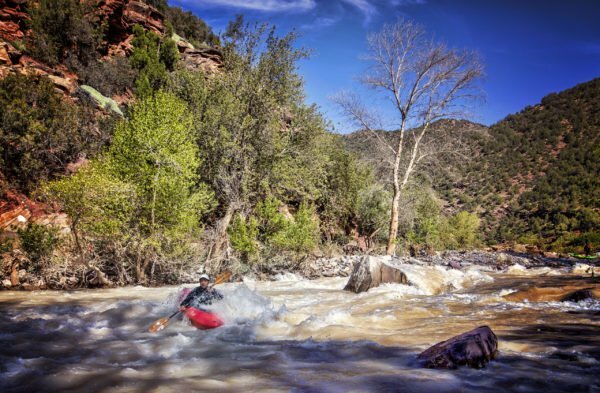 Hamish McMaster, a whitewater professional for more than 30 years, explains why if you are a kayaker, these destinations should be on your ‘bucket list’. Want to know how long you can stop and surf at a wave on the Zambezi? Or how many times we will fly into the river on our Paddlers Paradise trip in New Zealand? We love nothing more than sharing our passion for rivers with kayakers. We realise as a paddler, you have different ‘needs’ than rafting clients — so here’s a list of our (and our guests) favourite trips and why you should put them on your list for your next paddling vacation. No better way to start paddling than flying by helicopter into the river. This is the dream trip for most kayakers in the world. 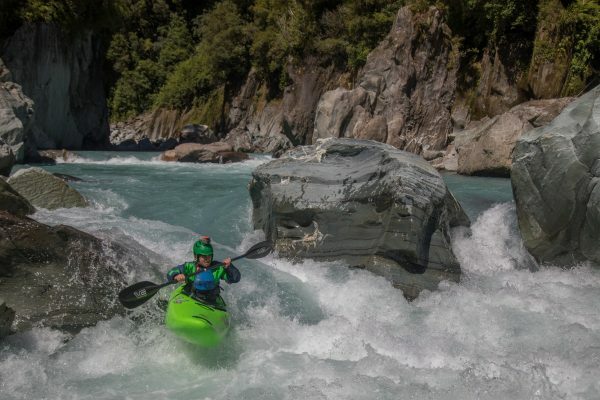 New Zealand kayaking can cater to any ability of paddler from Grade III to Grade IV and features a smorgasbord of incredible experiences, from the beautiful Buller River to a helicopter fly in on the Perth on the West Coast. The trip shares the wonderful hospitality of ‘kiwis’ and showcases the stunning scenery of the South Island of New Zealand. 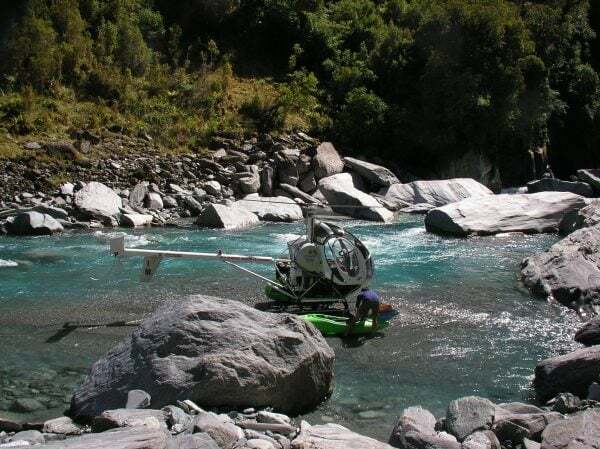 Nowhere in New Zealand are you further than 70 kilometres from the sea (43.5 miles), so with many of the trips you’ll be collected by helicopter near the sea and transported up into the heart of the Southern Alps to paddle back down to our waiting vehicle. This is paddling for all levels, at its best. 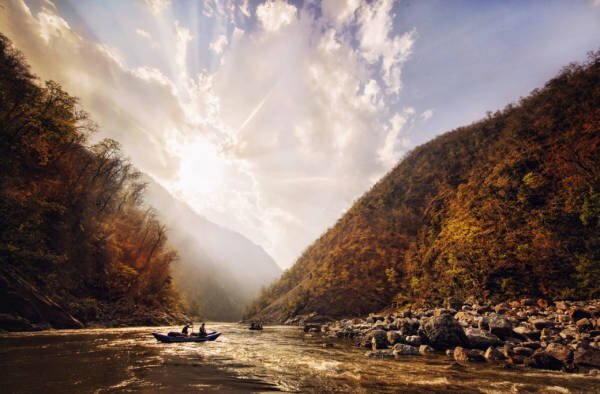 One of the best trips that combines kayaking and rafting is the Karnali River in Western Nepal. This was one of the multiday trips I cut my teeth on, working out here in the early 1990s. Even now, the river remains very untouched from the outside world given its inaccessibility. When we used to run it, we had a 2-day hike to get into the river, but these days we can drive straight to the river. Unfortunately the river is on the endangered list, with a dam being started in the next few years. The river is runnable in two distinct seasons. 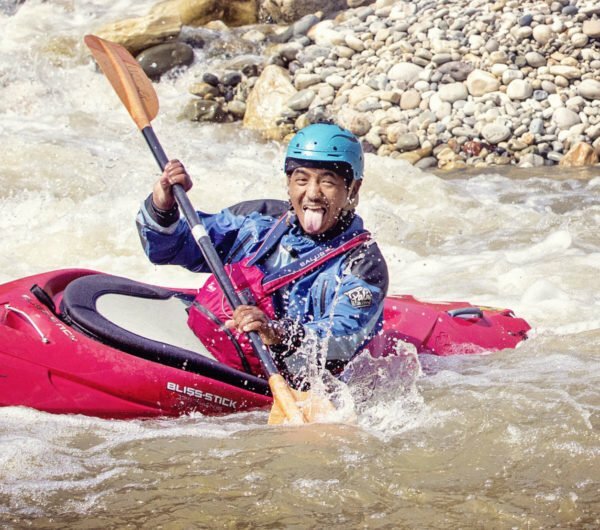 April, where you will experience mostly Grade III rapids and in early October, post monsoon, where the river is a very committing Grade IV+ adventure. Expect huge beaches and wonderful cultural interactions. When you picture Morocco, what do you think about? The Sahara Desert. But rest assured: the impressive Atlas Mountains, with My Toubkal at 4167 m or 13,671 feet, is an impressive landmark as we drive to the Ahansel River, which is fed by M’goun Massif at 4071m. The only time when the rivers are viable is in Spring, from March until May when there is snowmelt and generally good conditions for paddling. 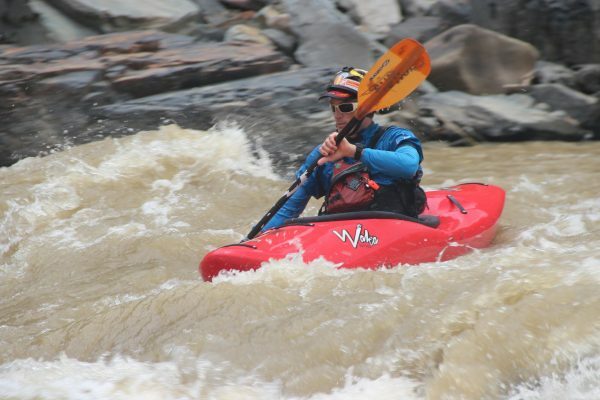 There are other rivers to paddle, but a multiday kayaking holiday down the Ahansel provides the most reliable conditions we have found from paddling there for over 20 years. Need to complete ‘off the grid’ experience? We recently explored Papua New Guinea for the first time a couple of years ago and we were so taken with the wonderful people and the world class Watut River in Morobe province. The river offers nonstop fun for any Grade IV In addition to the fabulous river you’ll be paddling, the trip also includes a few days off the coast of New Island exploring the azure ocean by sea kayak. 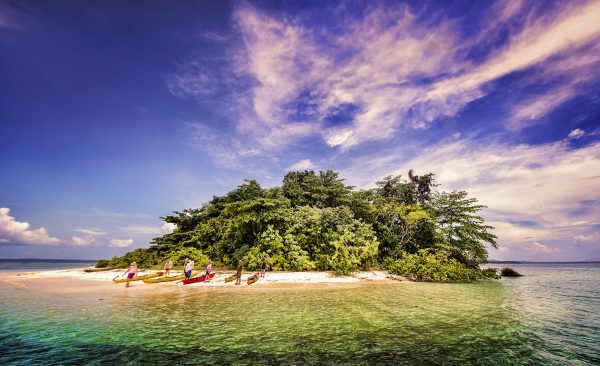 Stop on remote beaches and explore the many stunning coral reefs in the area by snorkel. And what is a list of the greatest paddling destinations on earth without the Zambezi. 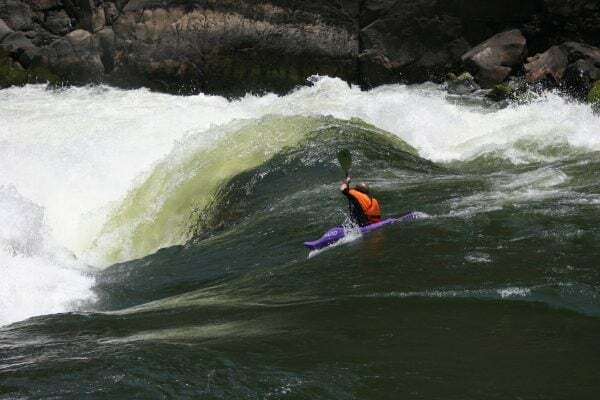 Our Zambezi Dream starts off getting you used to the big volume sections of the river — if you are a Class III kayaker with a solid Eskimo roll, you will love the Zambezi. 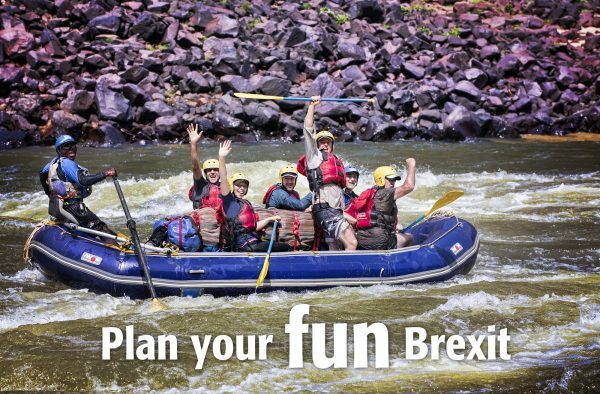 Led by our world class team of instructors such as Lovemore who has spent his life on the river, you’ll leave with a deep love of this river and region. We paddle beneath Victoria Falls and you’ll get a spectacular helicopter flight out of the gorge after your multiday trip. Top notch hotels mark the days on this incredible adventure. Fun and fluffy warm water on the Zambezi. Now, it’s down to you to decide. Where will your paddling vacation be this year? Papua New Guinea – The Last Bastion Of Adventure?